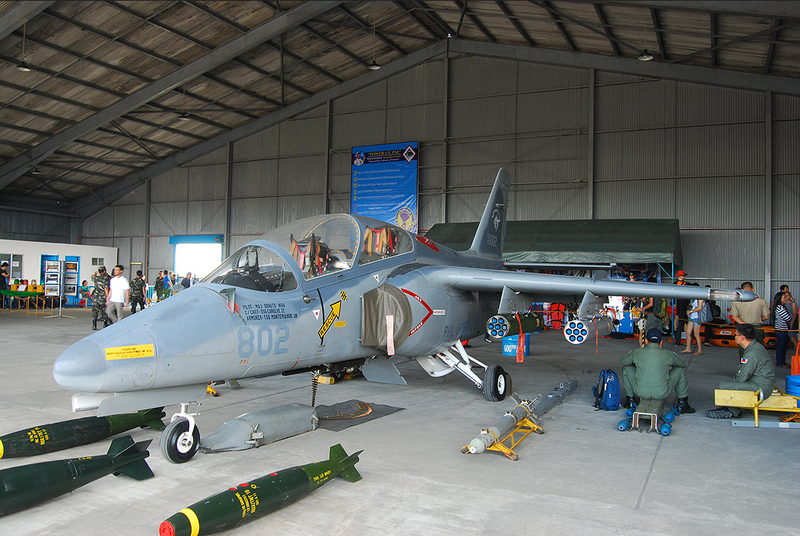 MANILA, -- In line with efforts to ensure that all of its available aircraft are mission ready and airworthy, the Philippine Air Force (PAF) is allocating PHP15,911,487 for the overhaul and repair of one of its SIAI Marchetti S-211 jet aircraft. Pre-bid conference is scheduled on May 21 at 1 p.m. at the PAF Procurement Center Conference Room, Villamor Air Base, Pasay City. While submission and opening of bids is on June 2, at 9 a.m. also on the same venue. The Philippine Air Force SIAI-Marchetti S.211 military trainer aircraft with secondary combat capability. These aircraft were upgraded by fitting the Norsight Optical Sight and AN/ARC-34 UHF Radios from retired F-5s. It is also equipped with a .50 caliber belly Gun Pod made by Aerotech. Before we consider retiring the S-211 Planes don't you think we should already have replacement planes to take over the role of air Defense? Rather than just have a Paper Air Force?